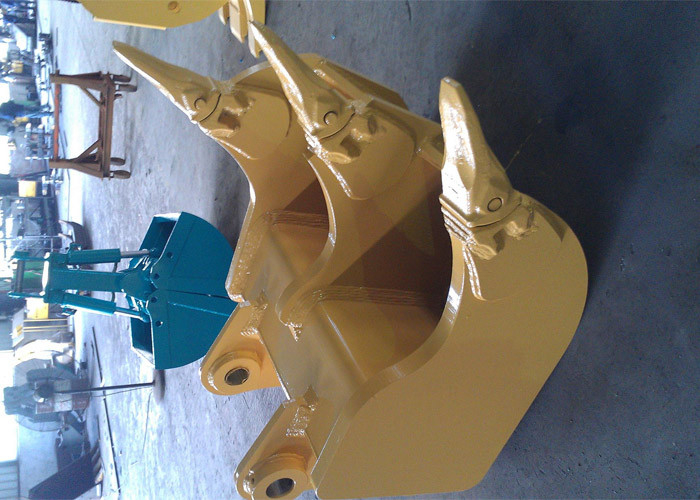 1, Rippers bucket can use same ripper, and also suitable for digging. 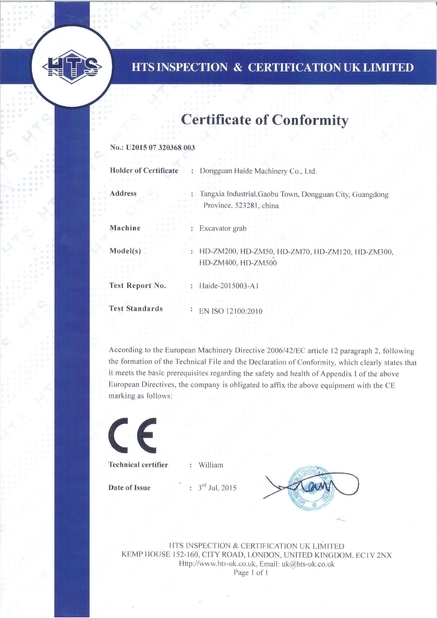 2, As customer request, we made it by high strength steel plate, main body is HARDOX450, other place is Q345B. 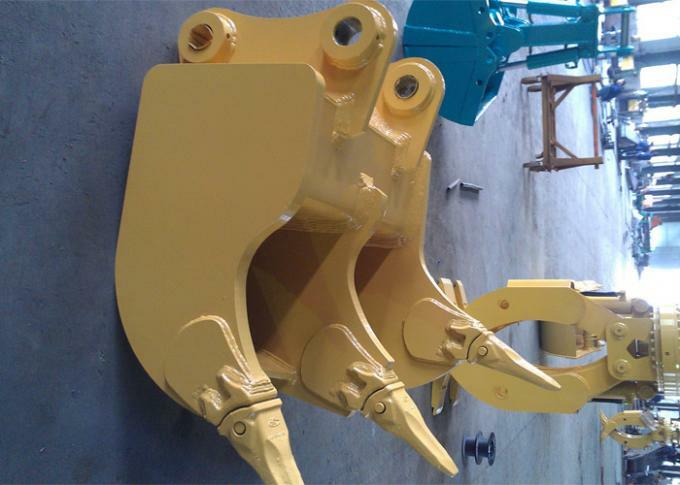 This ripper bucket is for Hyundai R305 excavator. 3, Easy to install and use. 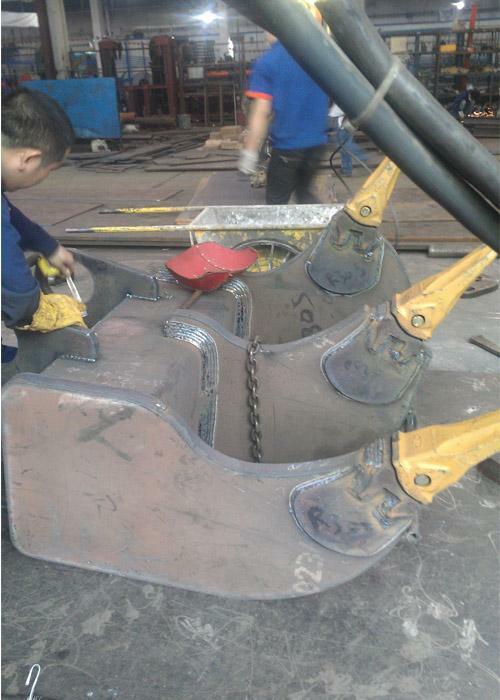 4, We customized this kind of ripper bucket with 3 rakes, and the rake thickness is 50mm with HARDOX450 material. 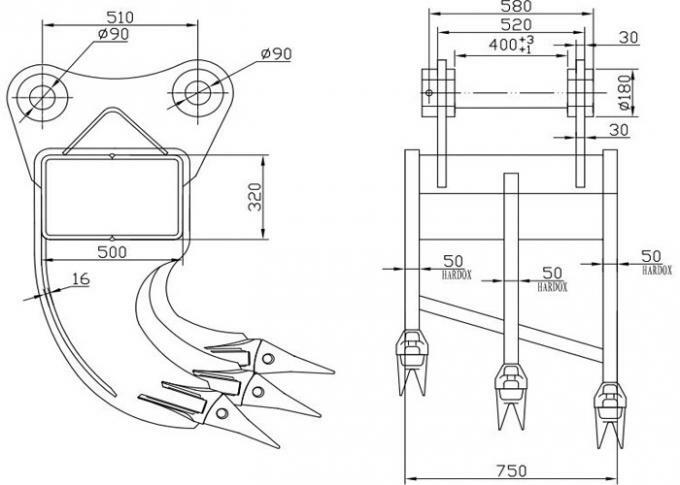 5, Every rakes have welded the rainforced plate on two side, made this ripper bucket high performance and durable. 6, Usually the bucket is welded 4 times(lines), but for this ripper bucket, we welded 5 times(lines) to make it more stronger and durable. 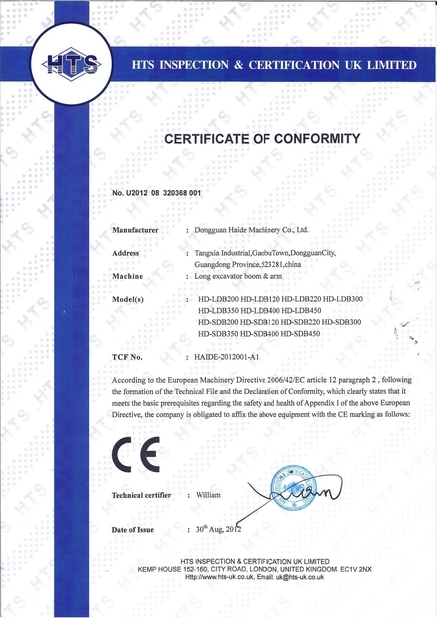 7, Installed high strength teeth with tiger rock teeth. 8, Between each rake, there also welded plate on the bottom, made it also with digging performance. 9, This ripper bucket was exported to Kenya. 1, Loosen the hard soil, then digging. 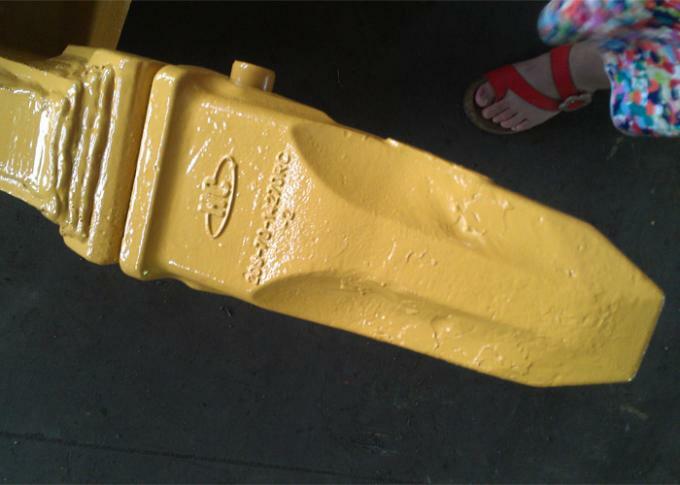 3, The Ripper bucket we customized for Hyundai R305 excavator.